Signing Jermain Defoe and Steven Davis would help Rangers “push Celtic all the way”, says his former manager Harry Redknapp. Defoe, 36, is set to join Steven Gerrard’s side on loan from Bournemouth, while Southampton’s Davis, 34, is expected to return to Ibrox. Rangers are level on points with their city rivals, having played a game more. “If he gets Steven Davis as well that would be two amazing signings,” said Redknapp. Ex-Tottenham manager Redknapp knows Defoe well having signed him as a 15-year-old for West Ham, then twice more in his career for Portsmouth and Spurs. However, this season the former England striker has played just eight times for Bournemouth without scoring a goal, with midfielder Davis earning just six appearances at Southampton. Despite Defoe’s lack of game time, though, Redknapp remains convinced he can be a success in Glasgow. He told BBC Scotland: “He’s a fantastic player. And still very fit. I’m sure he’ll score plenty of goals at Rangers. “He’s a great finisher, he’s got fantastic movement. If they’ve got people that can slide passes in to him then he’ll score goals all day. Many players have come up from England with big reputations but struggled in Scotland, with Joey Barton, Carlton Cole and Niko Kranjcar all failing to make an impact in recent seasons. 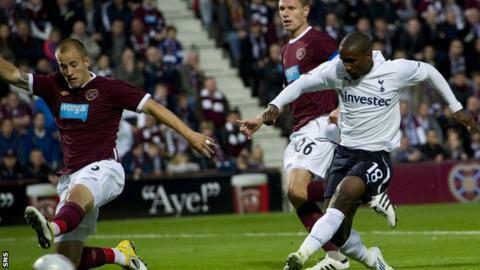 However, Redknapp believes Defoe would thrive in Glasgow. Redknapp said: “I go to watch Bournemouth most weeks. It’s been difficult for him, with [Callum] Wilson and [Joshua] King who play up front; they’ve both been outstanding so he hasn’t got the games. He wants to play, he’s one of them boys. “Rangers and Celtic, they’re a big pull in world football, they’re two massive clubs as everybody knows who understands the game. So it’s a big move for him and a big move for Rangers.